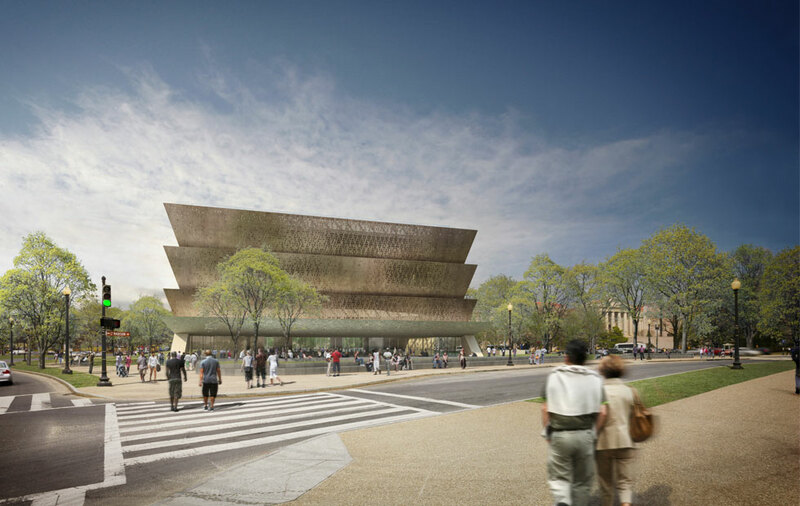 In 2009 David Adjaye and Philip Freelon’s plans for an inverted and stacked trapezoidal building encased in bronze screens won the design competition for the construction of the National Museum of African American History and Culture (NMAAHC). 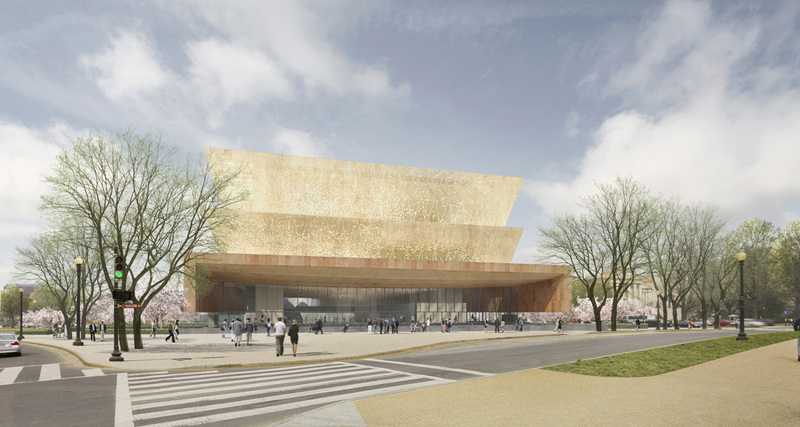 When the building opens in late 2015, it will have been 100 years since African American Civil War veterans first proposed a DC memorial honoring various African American achievements. This centennial timeline illustrates how long the struggle has dragged on to construct a monument to African American history, it also reminds us just how recently millions of Africans were enslaved in America by the fact that men who actually fought to end slavery were connected to this ongoing project. 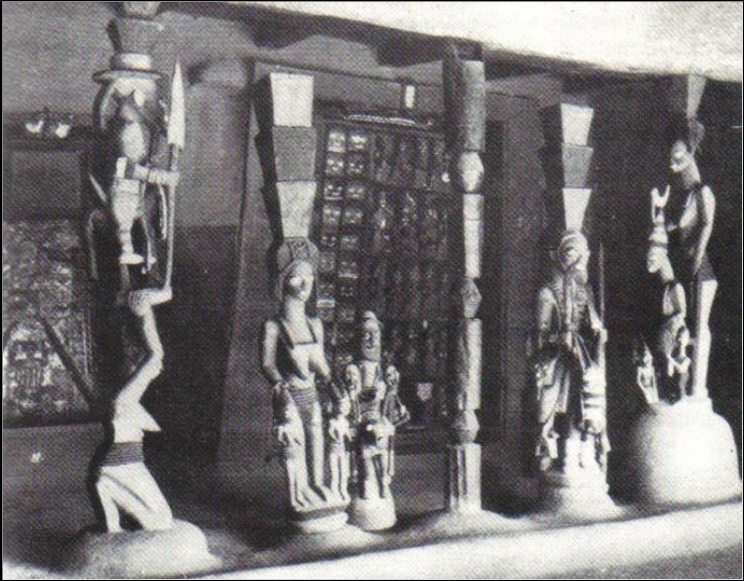 The building itself mines the more distant connection of the African origin of American slaves for its defining tripartite trapezoids, which evoke Yoruba carved wood columns–specifically the crowns at the top of the columns (not a king’s “crown” as many articles mistakenly assume)–found on traditional buildings in southwest Nigeria. 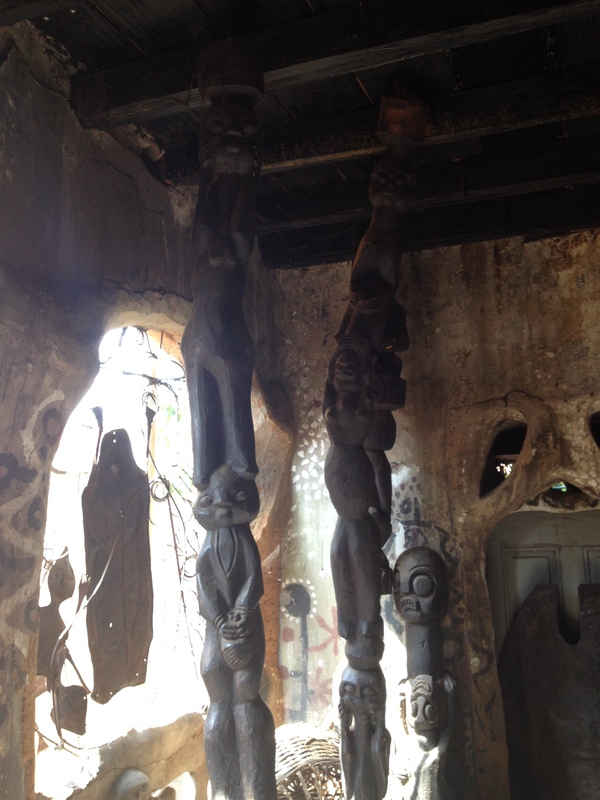 The reference to Yoruba pillars subtly suggests the prominence of African American scientists, artists, and politicians in the creation of America, and also–to use the museum’s term–“the darker corners” of the reality that America was built on the backs of enslaved Africans. Revisions to the original winning design, including a third tier, have further brought out the form of a sculpted Yoruba column, whereas before the plans looked equally like a shimmering fire above a base of a flat funeral pyre…not exactly the imagery a museum to African American culture wants to evoke. The redesign removes the red-stone base, integrating the crown with the ground level. While these have been improvements to the original vision, budget concerns have scrapped plans for an entrance that would have crossed a series of intricately landscaped waterways, reverently breaking the stride of visitors as they approached and serving as a reminder of the middle passage crossing. Another victim of the budget has been the bronze facade, which will now be fashioned from some kind of coated composite. There are concerns whether the new material will shine and if it will eventually flake off. Perhaps, in an America where pernicious racism chips away at any optimism for a united union, nothing could be a more fitting symbol for the dream of a nation that recognizes and honors the contributions and heritage of African Americans…except for maybe a funeral pyre…or, maybe yet, the shift in the form of the building’s tragic flaw from funeral pyre to a million paint specks speaks to the shifts in the way American racism operates.